For the iPhone XS user who’s bad to the bone. An iPhone is an iPhone is an iPhone. No matter what kind of case you put on it, it’s hard to have a handset that doesn’t look like all the others.But if you could cover the Apple logo with a gold skull or ruby-eyed wolf’s head, you’d have something unique. 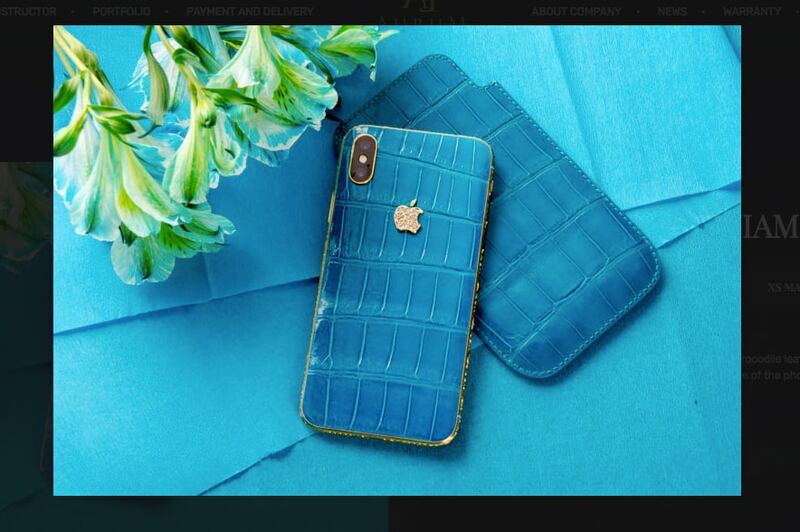 That’s the speciality of luxury brand Aurum Edition, which has new custom designs for the iPhone XS line and Apple Watch Series 4. If the skull or wolf is not your thing, Aurum features other designs that include exotic skins, carbon fiber, gold plating and diamonds. Aurum Edition is among a handful of luxe jewelry and accessory brands that transform the ubiquitous iPhone into a hand-held piece of fine art for wealthy clients who like to flaunt their economic status.Dimitry Lischina, who taught himself gold plating in his garage in Kiev, Ukraine, started the company, which today averages more than 30 iPhone makeovers each month, all with alluring designs delivered in handcrafted wood boxes. Aurum Edition also applies the luxe treatment to the Apple Watch. 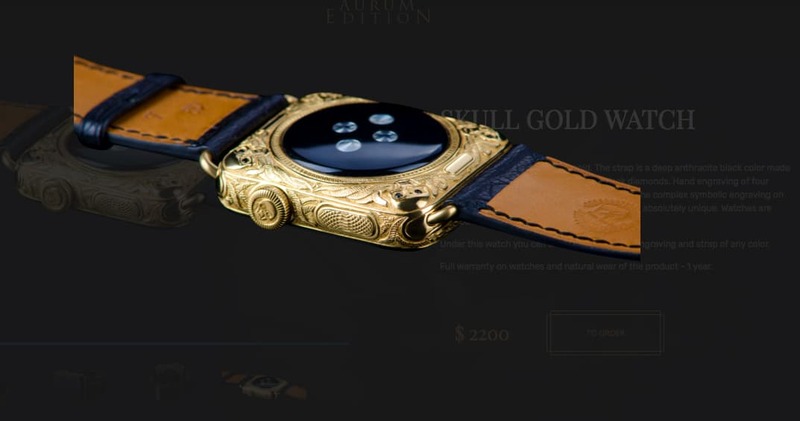 The Series 4, the face bordered in gold plating and adorned with hand engraved skulls, runs $2,200. Apple Watch Series 4 with Aurum Edition’s golden touch. The iPhone XS line by Aurum Edition runs anywhere from $3,500 to $5,800 depending on design and size of phone. 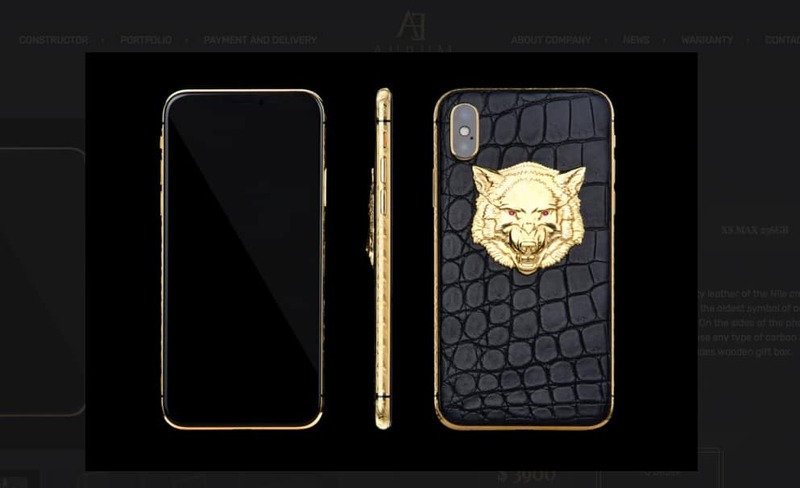 An iPhone XS Max 512GB model in Aurum’s Bitcoin Diamond design fetches the high end of the price range. Its back plate is covered with green crocodile skin with a gold Bitcoin currency emblem that holds 57 diamonds of .025ct. The Azura Queen Diamond iPhone XS starts at $4,600. For a more feminine aesthetic, the Azura Queen Diamond has an 18K gold Apple icon with nine diamonds of .07ct. that sits atop a back panel covered in blue crocodile leather. Price ranges from $4,600 to $4,800. The back panel of Ornate Skull is framed in gold with hand engravings of skulls and snakes. Inside the frame is crocodile skin with a gold partial skull at its center. There six diamond death. 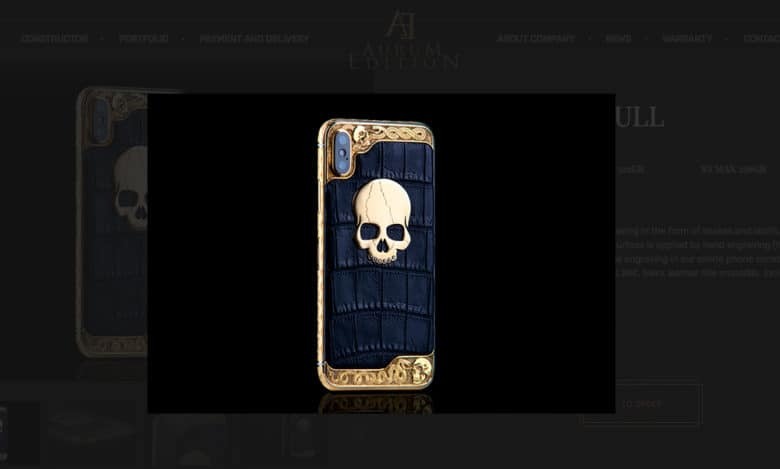 Available only in the smaller iPhone XS, Ornate Skull is $3,900. Imperior X is another skull design, starting at $5,000. On this model, a gold dragon is eating a skull with ruby eyes and 16 diamonds. The Wolf with ruby eyes. The Wolf has hand engraved sides, crocodile leather back plate and gold wolf head with rubies for eyes. It starts at $3,900 and goes up to $4,200 for an iPhone XS MAX 512 GB model.